The Shearer Family gathers for celebration. 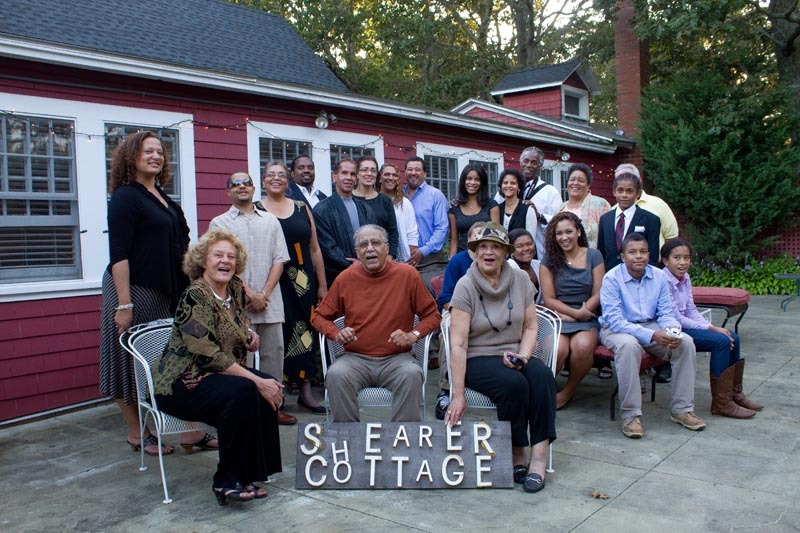 Built by Charles F. Shearer, a former slave and his wife Henrietta in 1912 (the date of last weekend’s celebration coincided with the 128th anniversary of the Shearer’s marriage) on a narrow road overlooking the Baptist Temple in Oak Bluffs, Shearer Cottage quickly established itself as a place where African American families could come to enjoy a vacation, particularly in an era when such accomodations were hard to come by. At the time, Ms. Christensen noted, Oak Bluffs (Cottage City) was the only town on the Vineyard in which African Americans could own property. Posters on the broad wooden porch of Shearer Cottage documented the inn’s growth over the years. A short film produced by the Martha’s Vineyard Museum played on a nearby table, providing an introduction to Shearer Summer Theatre, an endeavor of then-innkeeper Doris Pope Jackon’s sister, Liz White, where professionals and newcomers alike took part in stage productions. “Oak Bluffs has a special place in the hearts of the Shearer family,” Mrs. Van Allen said during her remarks. “May it hang for another 100 years in Shearer Cottage,” Ms. Burton said. 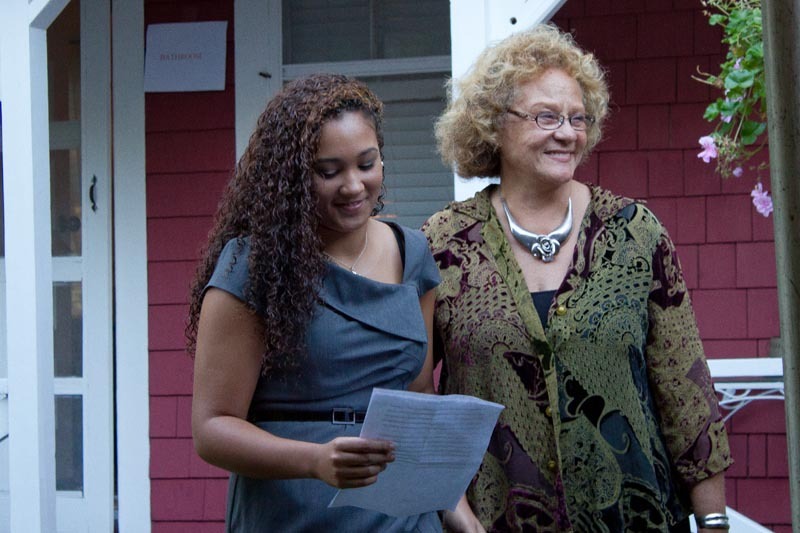 Camille Van Allen, 17, of Milton, Ms. Van Allen’s granddauther, concluded the ceremony by reading a portion of her college essay, which she dedicated to her great-grandmother, Doris Jackson. Miss Van Allen plans to be a physician in the near future, but, as she noted “I am honored to say I am the sixth generation [at Shearer Cottage] . . . when years pass and I grow older, I will become the innkeeper.” The courage of her great-great-great grandparents, she said, “shines through me every day,” . “I don’t know what it’s not like to be part of it,” she said.